National Change of Address provides the opportunity for faster product/service processing through accurate mail delivery. National Change of Address makes USPS change-of-address (COA) information available to mailers, service bureaus, list owners,and database administrators to help update addresses and reduce undeliverable mailpieces. NCOA is a comprehensive program that aids mailers in identifying changes of address before mail enters the mailstream. National Change of Address processing is provided by private sector companies in partnership with the Postal Service. Updated, computerized COA information is provided on a regularly scheduled basis by the USPS. NCOAsource improves mail deliverability by checking the last 4 years' for individual, family, and business moves and providing mailers with current, standardized 5-digit ZIP Codes, 4-digit add-on codes, and 3-digit delivery point coded addresses. Once the addresses have been standardized and the ZIP+4 code applied, your input names & address are matched against the NCOA File, which contains approximately 160 million records and 48 months of permanent address changes. How often is the NCOALink dataset updated? Answer: It's updated weekly by the USPS. Does the National Change of Address data really go back 4 years? Answer: Yes. We provide the full 48-month (4 year) NCOA dataset. Does your NCOA processing provide USPS address standardization too? Answer: Yes. In fact, that is our first step in our National Change of Address service. I don't have Zip+4 data in my file...can you still update it? Answer: Yes. Zip+4 data in your input file is not required. We will append Zip+4 to your data and include it in your NCOA return file. Does this NCOA processing include the CASS 3553 report? And the NCOA report? Answer: Yes. Both are included as an attachment in your Usage Report email. 98.5% same-day turnaround at no extra charge. We work hard to make our users happy. And pricing is an important part of this. 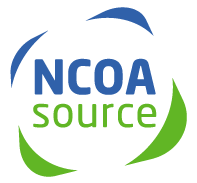 We're known as one of the most affordable NCOA providers in the industry for good reason: We treat our users as we like to be treated. This means - quite simply - selling our services at the lowest price possible. It really is that simple. No matter if you're a single-time user with a small list, or a daily user with large volume, you'll find the same great pricing available to everyone. And there are never - ever - extra charges.